The date is getting closer and closer, and knowing brides, this means the stress is only getting bigger and bigger! When you have 12 months (or less!) until your fairy tale wedding comes true, it’s normal to freak out. 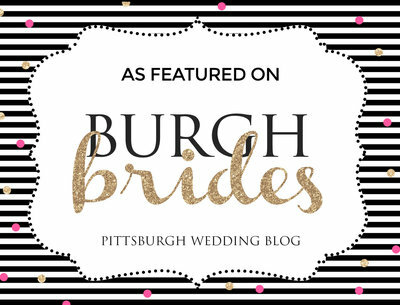 You might be nervous about the time crunch, or about the florist or the bad or even worse, if you’re forgetting something, This is why I’ve compiled a list of the things you need to make sure of before your Pittsburgh wedding! Wedding budget. First things first, when you just have 12 months to your wedding, you must have set a wedding budget and sat down with your partner and discussed what are the most vital parts for each of you. Draft your wedding guest list. Make sure you’ve organized a clean and compact list of the people in your life that you wish would be with you during your wedding. Celebrating your love and commitment to your partner is a special thing, so keep that in mind when drafting your wedding guest list. Set a date. Now, start touring venues! Determine what style and theme wedding you want to have a look for venues that accommodate to that. Depending on your which one you’ve chosen, you’ll be able to set a date! Create your wedding Pinterest board. This one doesn’t seem as important as the previous three, but it’s honestly so darn helpful. With a Pinterest board, you can choose the aesthetic you want your wedding to have and browse through thousands of ideas for your lovely day. Book a wedding photographer. Finding the right Pittsburgh wedding photographer, the one that is going to capture the special moments during your magical day is such an important task! You should be in love with their style and body of work, and be confident that you’ll adore their style in 30 years, too. Choose your wedding dress. Finally, one of the things you must have done during the last 12 months before your wedding is picking a wedding dress! It can seem a little overwhelming, because of all your expectations about “wedding dress shopping”, but honestly, it’s just shopping. You have to go out there and start trying on dresses until you find the one that complements you in all the right places.